From this page you can view videos from various events involving the Judicial Independence Project. 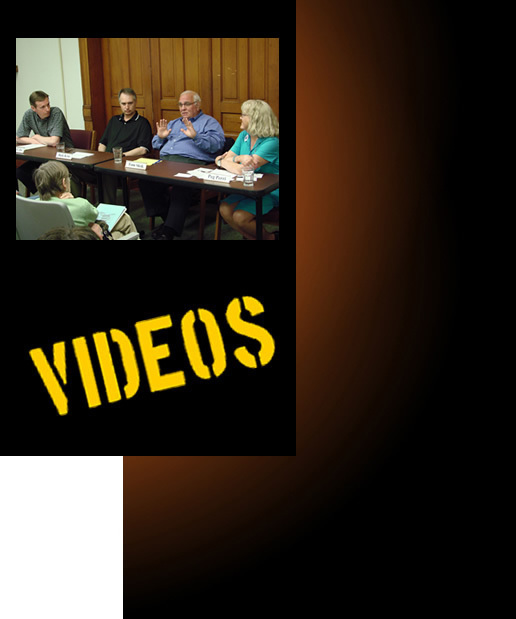 On June 1, 2009 the Judicial Independence Project co-sponsored a Judicial Independence Forum at the Franciscan Spirituality Center in La Crosse. Participants were Wisconsin Democracy Campaign Executive Director Mike McCabe, Rick Kyte, Director of the D.B. Reinhart Institute for Ethics in Leadership at Viterbo University and Attorney Tom Sleik, former president of the Wisconsin State Bar, member of the Federal Nomination Commission for federal judgeships and partner in the law firm of Hale, Skemp, Hanson, Skemp & Sleik. The moderator was Peg Perri of the League of Women Voters of the La Crosse Area.